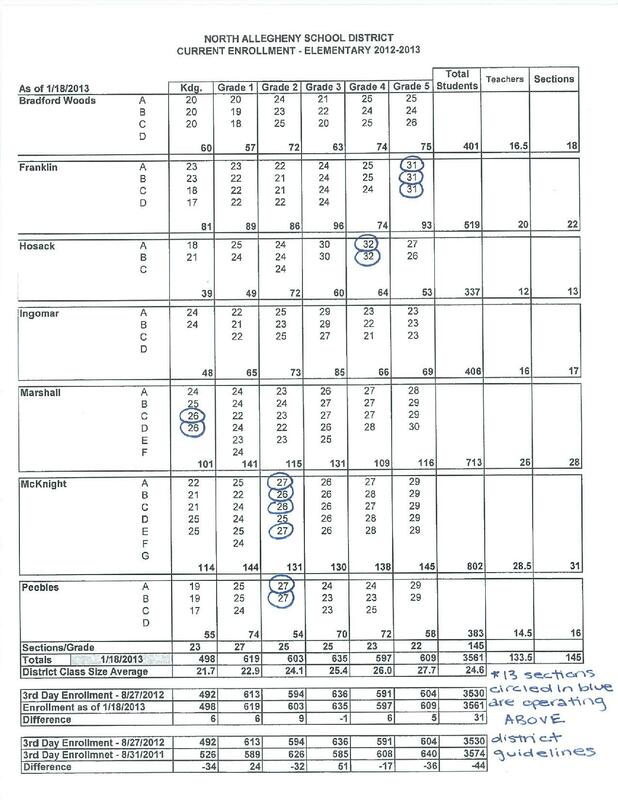 Anecdotally, the actual current class sizes also indicate many sections are at the current district guideline maximums…so that one additional student would throw that class over the guideline. (HES has one-1st grade & two-2nd grades at their limit, IES has one-2nd grade, MES has one-Kg & one-5th,PES two-1st grades)…and then there is MCK. They currently have 5 classrooms at the limit. Several other sections are one student away from the current class limit guidelines. We need our School Board to SET proper class size limits before they proceed with any vote to close a school or begin any construction at MCK. We also need our School Board to include 3rd grade with Kg, 1st & 2nd grade limits. A brief look at elementary education studies often refer to the importance of 3rd grade as the “make or break” year. Cramming 30 students a 3rd grade class is not beneficial to any of them. This work set is fantastic and extremely demonstartive that 1) it is imperative to focus on maintaining class sizes for our elementary students that maximize the most efficient learning environment for the children, and agree whole heartedly that the board does indeed need to play a key role in setting these critical guidelines in advance of any school closure vote and, 2) closing any school at this time in conjunction with builiding out MCK with reasonable class room sizes considered CAN NOT be the solution as the district would be at risk out of the gate in this proposed model. This would represent risk even without the student growth potential that has been proposed in conjunction with the level of new housing activity squarely demonstrated in the district. What may be next?? With the velocity and volume of change that has occured in the underlying facts in this process, and the last minute changes to recommendations that have been proposed by the Administration one of which we just experienced at the most recent board meeting (the delay in implementing the PES closure if voted to close by the board), something struck me at the last Board meeting as worthy of mention here. As part of the questioning for the potential temporary board member replacement, the candidates were asked how they would feel about “not offering kindergarten” in the districts educational program. 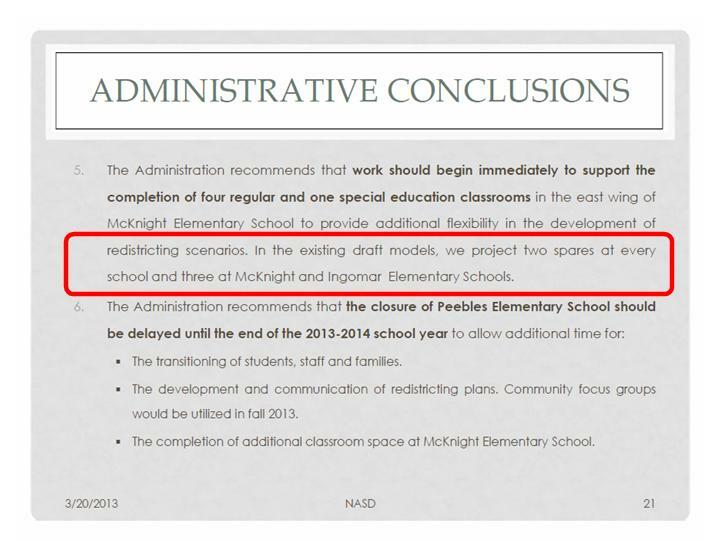 Clearly doing this (and I am strongly oppossed to this action as I would hopefully perceive the rest of the community would be) would be a vehicle for the administration to create excess classrooms (23 sections I believe) and continue its recommendation to close PES. Do we need to start the thought process and get out ahead of any such recommendation that may arise in this matter to help keep all of our schools open? ?